The Financial Times is to begin paying all its journalism interns the minimum wage after a deal brokered by the National Union of Journalists. The title currently offers a range of journalism internship opportunities, ranging from one month to three months. Previously it has paid interns a maximum of £50 a week travel and lunch expenses for the first month, and the minimum wage from the fifth week onwards. According to the NUJ the deal is part of an above-inflation pay rise for all FT staff from April. The paper's father of chapel Steve Bird said:"The chapel is proud to have helped win a proper wage for our interns. By ending the system of offering only a food allowance, FT managers have accepted NUJ arguments about diversity and will be able to recruit from a much broader cross section of society." NUJ general secretary Michelle Stanistreet said: "Unpaid internships exploit dreams and exclude new talent, undermining the diversity of our profession, just when we should be nurturing and supporting the people coming into the industry. "Employers in the media should be warned; we will continue to take on those who seek to exploit young people and newcomers to the industry. It is vital that a modern, democratic nation has a media that reflects all its citizens and is not a redoubt of the privileged classes. The management of the mainstream media is also the loser if it is not prepared to look for talent beyond a cohort of people who looks like it." The UK minimum wage is currently £6.50 an hour for over-21s and £5.13 per hour for those aged 18 to 21. 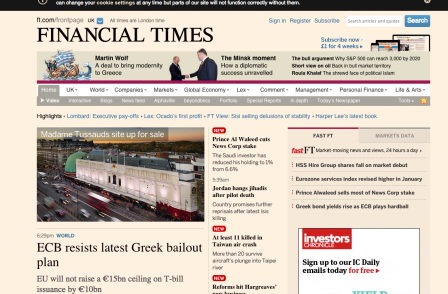 FT Group reported a profit of £55m in 2013 on turnover of £449m. 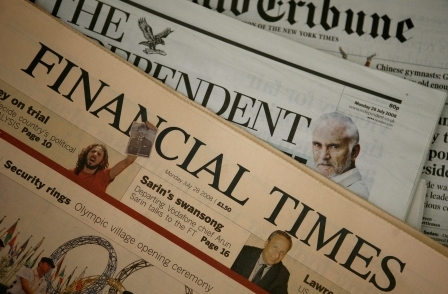 A spokesperson for the Financial Times said: "The Financial Times greatly values its employees and we are focused on attracting and training the best people. Our graduate and internship programmes are an important investment and have attracted formidable talent over the years."